Want to get promoted at work and paid more for what you do? You’d be hard-pressed to find a better resource than the Eli Broad College of Business at Michigan State University. The Broad College Executive MBA program ranks second among public universities nationwide for the percentage of alumni who have been promoted or grown their companies since graduation, and fourth for percentage increase on pre-EMBA salary upon graduation, according to the Economist’s 2018 ranking of EMBA programs, released Monday, July 2. 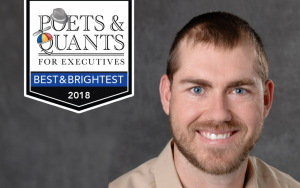 The Broad EMBA was also tops among public schools in the Big Ten in those categories, according to the London weekly newspaper’s ranking, which is among the world’s most recognized and influential such compilations. The Economist’s Executive MBA ranking focuses predominantly on the educational experience students have and the career progression they experience as a result, particularly in terms of salary, at MBA programs around the world. It is based on data provided by schools, current students, and alumni. Among members of the Broad EMBA Class of 2017, 43 percent of students received a promotion before they finished the program, and the average salary increase from the time students entered the program until their exits was 14.8 percent, according to college statistics. In that class, 97 percent of graduates would recommend the program to other professionals. 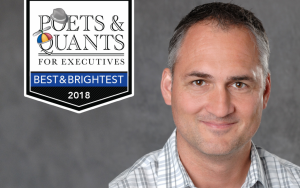 Spiros Assimacopolous – one of two Broad EMBA alums who were recently named to the nation’s top 100 “Best & Brightest” EMBAs for the Class of 2018 by Poets & Quants, a leading business education news Web site – credited the program for its merits. Overall, the Broad EMBA program ranked 21st among public universities nationwide and 57th among all schools globally. The Broad Executive MBA is the nation’s oldest public university EMBA program. It was launched as the Advanced Management Program in 1964. Today, the EMBA program has campuses in East Lansing, Detroit, and Troy, Michigan. For more information about this ranking, visit the Economist’s Web site by clicking here.